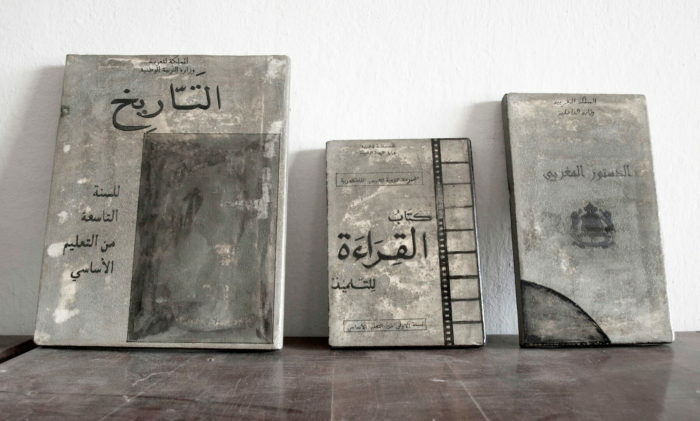 Mohssin Harraki graduated from the National institute of Fine Arts of Tetouan, from l’École Supérieure d’Art of Toulon, as well as the École Supérieure d’Art of Dijon. 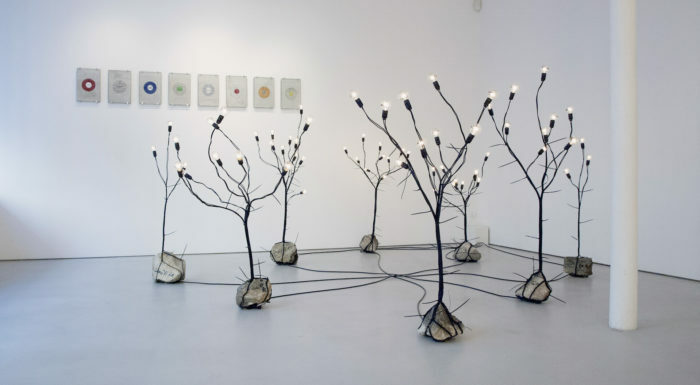 His work has been presented in several exhibitions including the Arbres généalogiques at l’Espace 150×295 in 2011 in Martil (Marocco), at the Biennal of Marrakesh in 2011; Outre Mesures and Programmes Radio, at La Galerie in 2011; Noisy-le-Sec, Mahatta at la cinémathèque de Tanger in 2010; Sentences on the Banks and other activities at Darat Al Funun in 2010, Amman, at the festival d’art vidéo Transmediale11 in Berlin and during l’Independant Short Films and Media art Festival in Cairo. Mohssin Harraki works with drawings, video installations, photography and performances, as they are different means to question important social and political issues. The artist questions cultural constructions, as well as post-colonial consequences and collective imaginaries. He is interested in themes such as genealogy, power transmission, and the formation of collective consciousness. Generally, the artist starts with a dialogue, whether it is with his peers, artists or with people he meets on the street, like during his participation in « Jeûne » in 2011 in Toulon. In his installations, he explores written and literary themes that he diverts from their traditional usages. 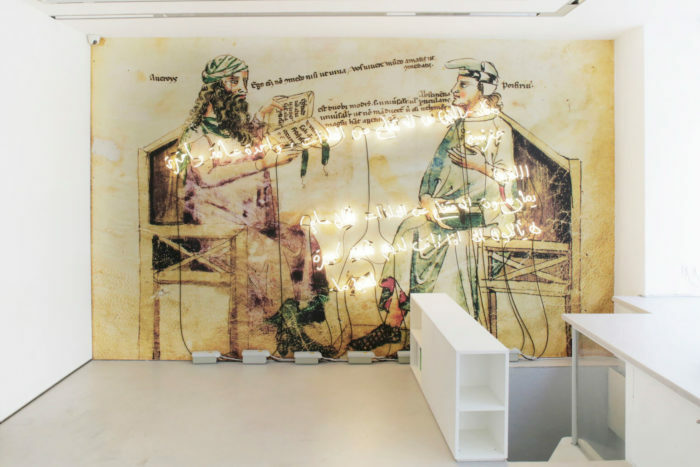 In a broader way, all of his projects aim at exploring cultural construction mechanisms and the constitution of the collective memory and imaginary. Mohssin Harraki, "Débat Imaginaire", 2017. Tirage photo, neon - 500x370cm. Mohssin Harraki, "Pierre dans la mare", 2010. Manuels scolaires au Maroc dans les année 90 en béton, dimensions variable. Mohssin Harraki, "Rahat Al-Aql", 2016. Pierres, câbles électriques, écritures sur ampoules, dimensions variable.